The inception of Emami Group has taken place in the mid seventies, in West Bengal, when two childhood friends, Mr. R.S. Agarwal and Mr. R.S. Goenka left their high profile jobs as Chartered Accountants, with the Birla Group to set up Kemco Chemicals, an Ayurvedic medicine and cosmetic manufacturing unit in Kolkata, in the year 1974. It was an extremely bold step in the early seventies when the Indian FMCG market was still dominated by multinationals. Several such companies which have been headquartered in Kolkata were considering shifting out of West Bengal due to labor unrest and also political problems. But against all odds with a vision of combining the age old wisdom of Ayurveda with modern manufacturing techniques for creating winning brands the company started with a meager amount of Rs. 20,000. A dream of reaching out to the Indian middle class; a target audience whom they thought will have increasing potential for consumption, the company started manufacturing cosmetic products as well as Ayurvedic medicines under the brand name of Emami from a small office (still retained) in Kolkata's business district of Bada Bazar. Their consumer insight is reflected today in the mission statement of Emami Limited: "Making people healthy and beautiful naturally". In the year 2002 Emami roped in film actor Madhuri Dixit as brand endorser of a full range of its cosmetics including hair oil, sunscreen lotion, shampoo, fairness cream and talcum powder. The products were formulated after intensive research and inputs from Madhuri Dixit as well !!. The actor has been very much collecting beauty secrets from across the globe and the company decided to brand the cosmetics the 'Beauty secrets by Madhuri' range. While it is yet another first in Emami's 'first' list it is also the first time in brand history that an endorser co-owns a brand. Emami has successfully established its brands through strong celebrity endorsements. In a market where competition is intensifying, product lifecycle is shrinking and strategic management of a company is gaining pivotal position, Emami's inclusion of celebrities as brand ambassadors established that it strictly relies on its own unique method of retailing. 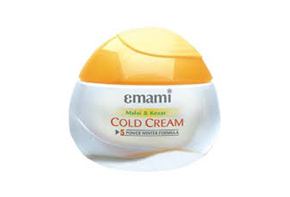 Emami Limited is one of the leading and fastest growing personal and healthcare businesses in India, with an enviable portfolio of household brand names such as Boroplus, Navratna, Fair and Handsome, Zandu balm, Mentho Plus balm and Fast Relief. Established in 1974, they have a portfolio of over 300 products based on ayurvedic formulations. The organizations current operations comprise more than 60 countries including India, GCC, UK, Sri Lanka, Bangladesh, Nepal, African and the CIS countries. Over 100 Emami products are sold every second. 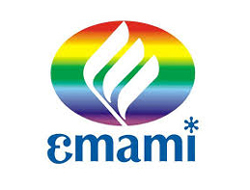 Emami Limited, the flagship company of the Group, recorded a turnover of Rs 1699 crore in 2012-13. Emami acquired the heritage brand Zandu on the basis of huge business synergy between the two brand portfolios. The employees of more than 4000 people reach out to 40 lakh retails outlets through a network of 3500 distributors and have invested in seven plants, five regional offices and 32 distribution centres across India. Established in the early years of 70's, Emami group has grown in India with presence in major sectors of FMCG, real estate, hospitals, retail, newsprint manufacturing, pharmacy chain, contemporary art, edible oil and biodiesel. Founded by two friends Mr RS Agarwal and Mr RS Goenka, Emami today ,is a trusted and loved brand of the nation with over 20,000 employees and a group turnover of about Rs 6000 cr. FMCG - Emami Limited is one of the leading and fastest growing personal and healthcare businesses in India, with an enviable portfolio of household brand names such as Boroplus, Navratna, Fair and Handsome, Zandu balm, Mentho Plus balm and Fast Relief. To contribute whole heartedly towards the environment and society which integrates all companies stakeholders into the Emami family. To make Emami synonymous with natural beauty and health specially in consumers mind. To drive growth through quality and innovation in all the products and services. To uphold the principles of corporate governance and also self. To encourage decision making ability at all levels of the organization. The companies group strategy is majorly the growth through both Organic and Inorganic expansion. This kind of strategy will be driven by power brands, upcoming brand extensions and new launches, coupled with a wider international presence through acquisitions. The research and innovation team is much dedicated to delivering products that excite customers and meet their need gaps. The organizations products are the result of understanding consumers' unmet needs, through a path breaking technology, the combination of generations of practical experience with a continuous flow of new knowledge. A state-of-the-art, high-end multi-storey Research and Innovation Centre, spanning more than 30,000 sq. ft, is created in Kolkata. The Centre encompasses product innovation development, product processing science, competitive intelligence cell, analytical development, perfumery science, quality assurance and packaging and development. Today Emami is proud of its innovative marketing strategy of getting celebrities on board for endorsements of a bouquet of products. India is a market of over a billion people and a majority of this market is very much rural, at the bottom of the pyramid. It is price sensitive and emotional. This segment responds to the pull of a visible celebrity. Thus, over a period of time Emami roped in many superstars from the entertainment and sports field to endorse its products. The brand ambassadors were signed on the basis of the brand need and the fit between the particular brand and the star. Emami's brands continue to be endorsed by some of the leading celebrities of the country. They include Amitabh Bachchan, Shah Rukh Khan, Kareena Kapoor, Chiranjeevi, Mahesh Babu, Suriya, Bipasha Basu, Malaika Arora Khan, Govinda, Sourav Ganguly, Sunny Deol, Madhuri Dixit, Virendra Sehwag and Sachin Tendulakar, among others. Emami was ranked 136 among BT-500 Most Valuable Companies of India, 2012, in the private sector (Business Today). Forbes Asia, 2012, has ranked Mr RS Agarwal and Mr RS Goenka, Joint Chairman, Emami Group, among the 100 richest Indians. Emami has been featured among the Fortune 500 India's largest corporation by profitability. Emami has been featured among Asia's Best Under a Billion companies by Forbes magazine. Rated (by CARE) PR1+ (highest rating) for Short Term borrowings signifying highest safety, AA+ Rating for Long Term borrowings. Zandu-Emami IT integration Project has been selected as one of the Top 10 IT Innovations done by CIO's. Emami Ltd has been conferred the Most Enterprising Company of the Year by IIPM (Indian Institute of Planning and Management) and The Sunday Indian publication of the Planman Media Group. Mentho Plus dibbi pack has been the winner of Technology Innovation Awards 2010, Indiastar 2012 and Worldstar 2013. Navratna cool talc has been the winner of Indiastar 2012, Worldstar 2013 and also Navratna was awarded the best packaging award by Paper Film and Foil Converters Association. Vasocare Petroleum jelly, winner of Indiastar 2010 and Worldstar 2010 recognition. Zandu Balm, winner of Indiastar 2010 and Worldstar 2010 awards for packaging. Zandu Balm, Navratna oil, Fair and Handsome and Boroplus all are ranked among the top 20 Most Trusted Brands in the country by Brand Equity Survey of Economic Times. Brands, Boroplus and Zandu balm are also ranked among the Power Brands of India, by Planman Marcom. Emami Ltd has been awarded the most prestigious IMC Ramkrishna Bajaj National Quality Award in the Manufacturing Category (RBNQA 2012) for its Abhoypur Unit for excellence in manufacturing and commitment to quality. Abhoypur unit accredited with ISO 14001:2004 and ISO 18001:2007 accreditation signifying compliance with Environment management system and occupational health and safety management system. IMEA (India Manufacturing Excellence Award) Silver Award was given for Amingaon and Abhoypur units. Received Silver award in Green Tech and received Best of the Best Award at CCQC Mumbai Chapter for Abhoypur unit. Gold award for Amingaon unit, Silver award for BT Road unit and received Gold Award at CCQC Kolkata Chapter for Amingaon and BTR units. Received Par Excellence Award at NCQC Hyderabad for Amingaon, Abhoypur & BT Road units . Excellence Award for Pantnagar unit. Received Best Model Award for a model of implemented Kaizen by NCQC Hyderabad for Pantnagar unit. BT Road unit stood first in CII Works Skill Competition - Refrigeration category (National Level). In 2006 the company decided to introduce a Health Care Division and a number of new brands of Ayurvedic OTC medicines. The company has taken up the challenge of growing this new division with a dedicated and enthusiastic team working on this project. Acquiring a heritage brand - Zandu Emami Limited with an investment of Rs 730 crore acquired Zandu Pharmaceuticals Works Ltd on the basis of huge business synergy between Zandu and Emami. Post the acquisition of Zandu Pharmaceuticals, a century old household name in India, some of its prominent brands like Zandu Balm, Zandu Chyawanprash, Zandu Kesri Jeevan, Zandu Pancharishta, Sudarshan and Nityam Churna came under Emami's basket of brands. In 2006, J B Marketing & Finance Ltd., the erstwhile marketing company of the Emami Group merged with Emami Ltd. and the total turnover of Emami including sales in domestic and export market stood at Rs 516 crores at the end of the fiscal year 2006-07. Within three decades, the company Emami Ltd has a turnover of Rs. 1500, the flagship company of the Rs.5000 crore Emami Group. Today, Emami Limited is led by Mr. R S Agarwal and Mr. R S Goenka with the help of the second generation Promoter Directors from the two families. Emami Limited has a team of over 4000 people running one of the leading and fastest growing personal and healthcare businesses in India.